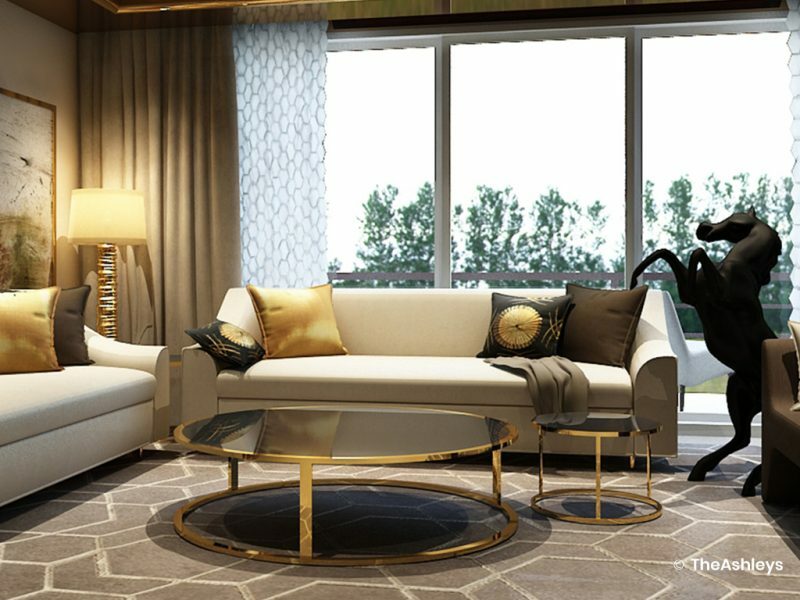 Show flat designing for premium residential projects like this one involve striking a balance between exclusive style and a design vocabulary that will appeal to all. 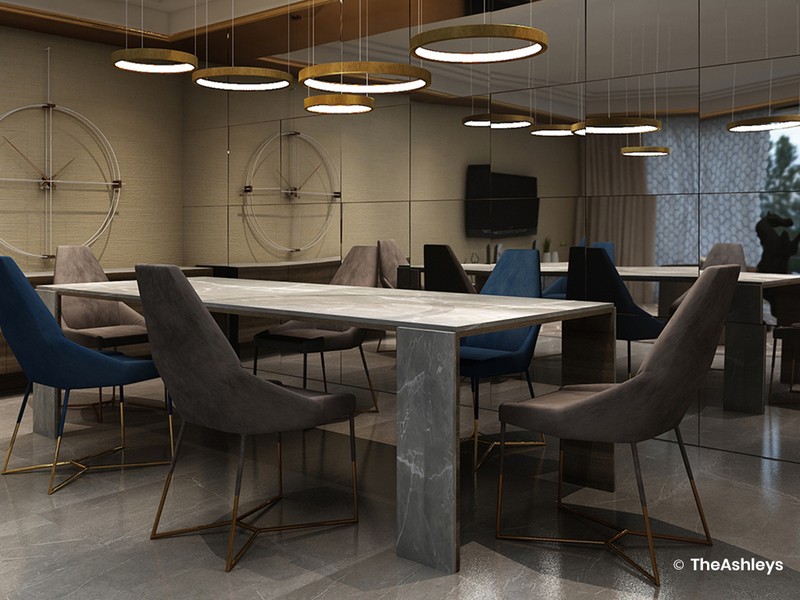 We chose to use a blend of light classical silhouettes and contemporary luxury styling. 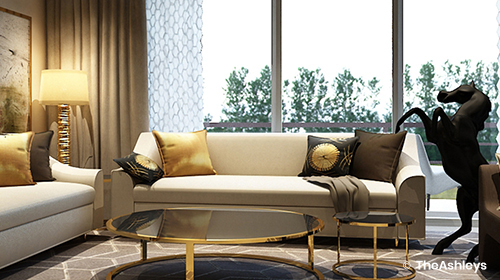 A colour palette of soft beige and white is elevated by accents of dull gold and brass. 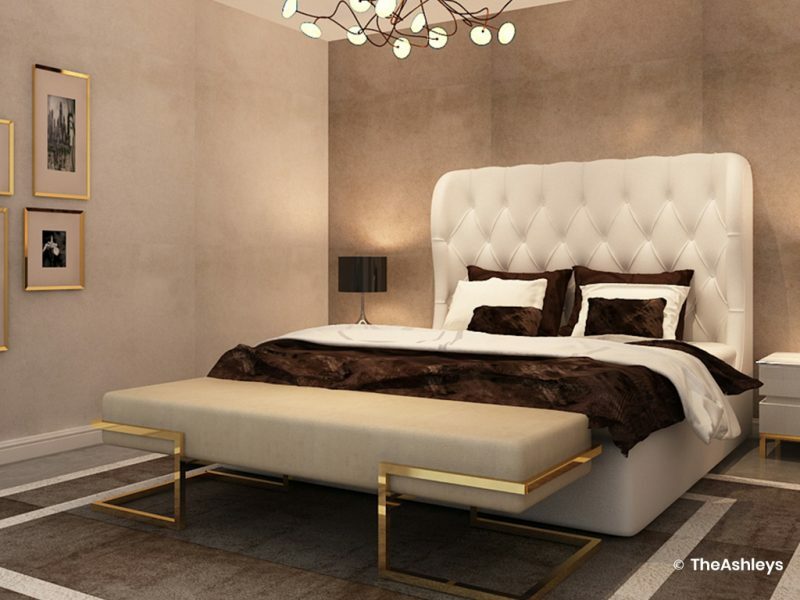 As with any luxurious show flat design, the choice of décor and furniture is aimed at making the space look larger than life. A dining room wall is wrapped in mirrors, reflecting the living room in front to give the perception of larger spaces. The cream loungers in the library are set off by the deep-coloured leather carpet in the library suite. 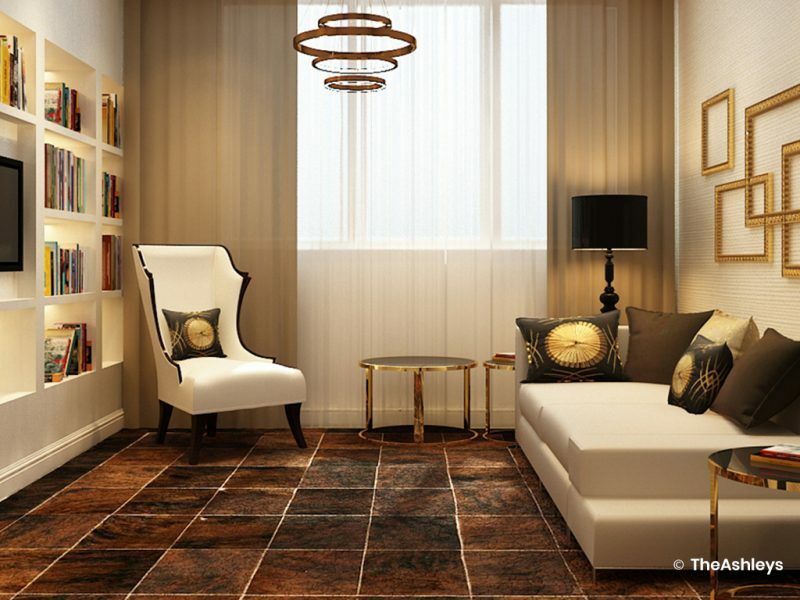 The carpet goes from wall to wall, creating depth and adding a sense of elite luxury to the space. 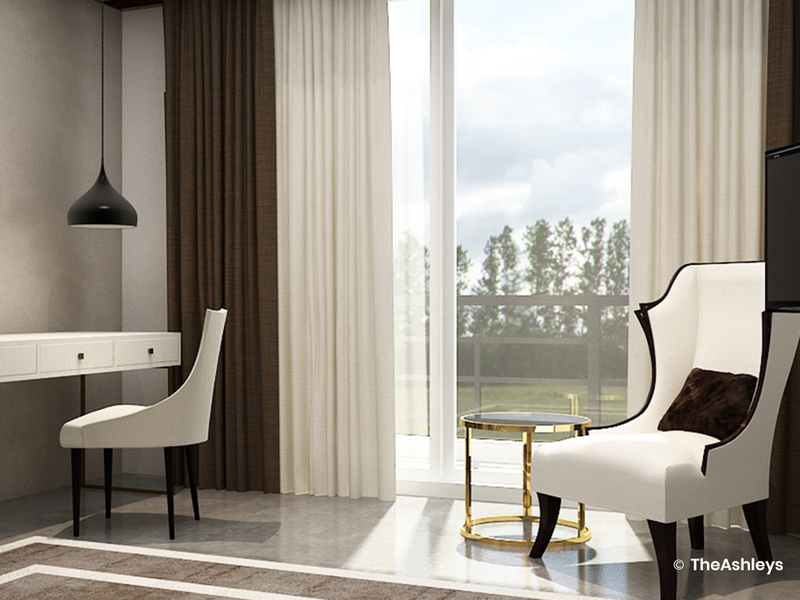 For a touch of modern elegance, we chose gilded furniture with clean, uncluttered lines. 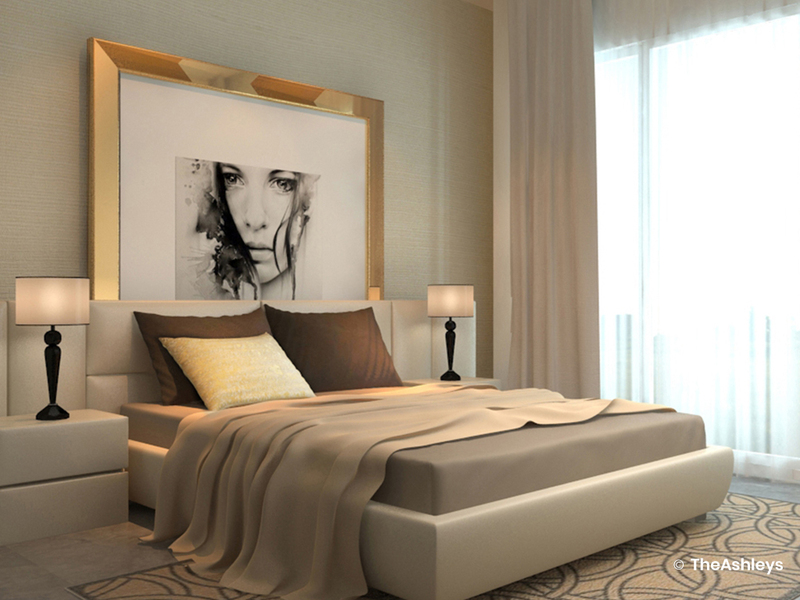 Oversized art canvases propped casually against the wall add a twist of surprise. While the designs are bold, lighting and textures are used to create a feeling of sanctuary. In the living room and bedrooms, lampshades create soft pools of light, adding an intimate mood to the rooms. Throw rugs and blankets, paired with plump cushions invite the visitor to relax.